GRR have posted lots of pictures on Flikr – some of our boats at the bottom of page 2, and about halfway down pages 3 & 4. If you’ve not been to the event, overall this album gives a good feel for what it’s like. More from the Great River Race 2018. Here are some great action pictures taken by Rosemary. The GRR, once again, was an amazing day out on the water with all the excitement of competing and the fun of meeting other rowers. These photographs really give the sense of what it’s like to be in the middle of it all. Thanks to Rosemary and, of course, to Anta and Humphrey for undertaking the responsibility of towing. Fastest StAyles was the Dutch Groot & Grut3, at 2:38:52 coming third overall behind a Pilot Gig & Outrigger canoe. Here’s BJ’s track & speed log through London- the spike in speed at 6 miles was where we were given a little encouragement from behind by a faster boat (there are other ways of describing the incident) – no damage done however! Special thanks to Humphrey & Anna for towing! 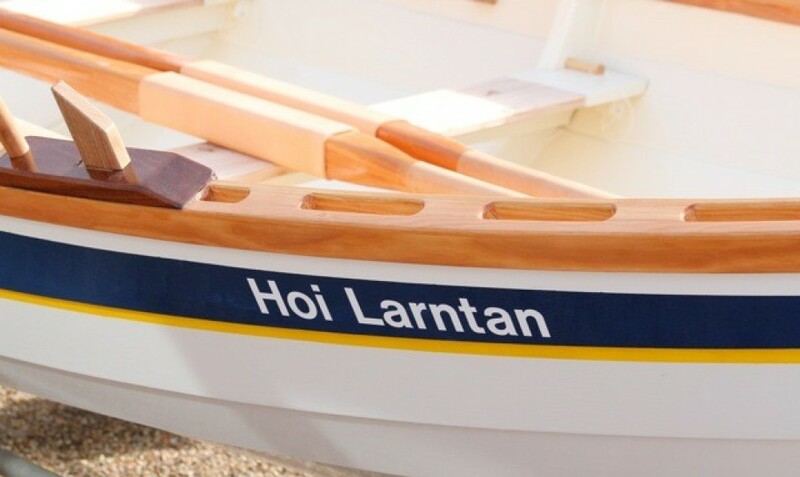 These are great pictures, sent by Adrian, of Hoi Larntan winning the Blakeney Regatta. This was one of the closest and fastest races for some time. Notice the cox, Tom Green, looking over his shoulder in one picture and every member of the crew pulling hard until the end. It really was a battle royal. Both crews certainly gave of their best. Bluejacket surging across the water in fine style to do battle with Hoi Larntan. After an exciting, hard fought race it was Hoi Larntan which crossed the line first. Well done to all who took part, including the safety boat crew who kept a watchful eye.